Lenovo is announcing a ton of stuff this week at CES. Because, well, that’s what Lenovo does. Along with new gaming laptops and a ton of accesories, the company also refreshed its flagship notebook lines, the ThinkPad X1 Carbon and X1 Yoga. Both models are thinner and lighter than their already thin and light predecessors — making them a pretty strong contender for the top premium Windows notebooks out there. And, as ever, they’re priced to match, starting at $1,710 and $1,930, respectively. The X1 Carbon now weighs 2.5 pounds, with a 15 mm thin design and a woven carbon finish. There’s an 8th gen Intel Core processor inside, coupled with 8 or 16GB of RAM and up to 2TB of storage. The Carbon’s display is 14 inches with optional touch, and the speakers are Dolby Atmos-tuned, along with four far field mics built-in for voice. There’s also a healthy number of ports on board, including two USB, two thunderbolt 3s and a headphone jack. 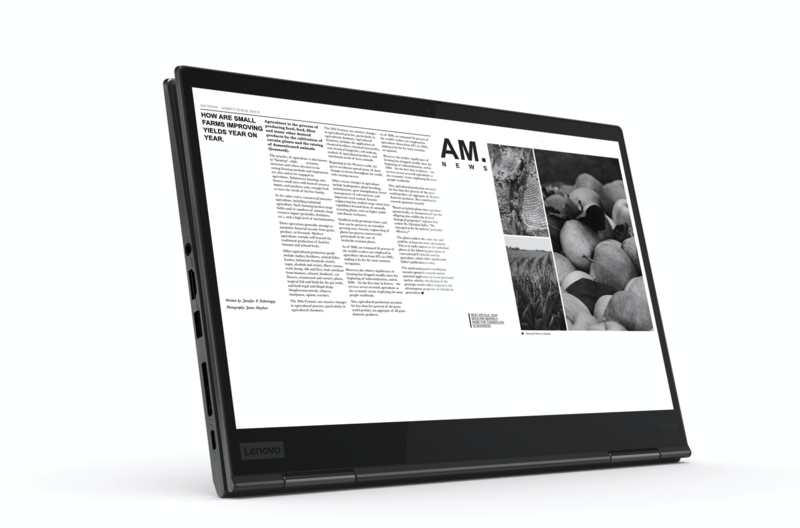 Per the Yoga, the fourth generation of the convertible laptop is now 11 percent thinner than its predecessor, with thinner bezels and an overall smaller footprint. Like the Carbon, it sports 8th gen Intel Core processor, a 14 inch display and Dolby Atmos speakers. The laptop weighs a hair over three pounds and features an improved RGB and IR camera. Both are shipping in June and, naturally, feature Lenovo’s familiar orange pointing stick.